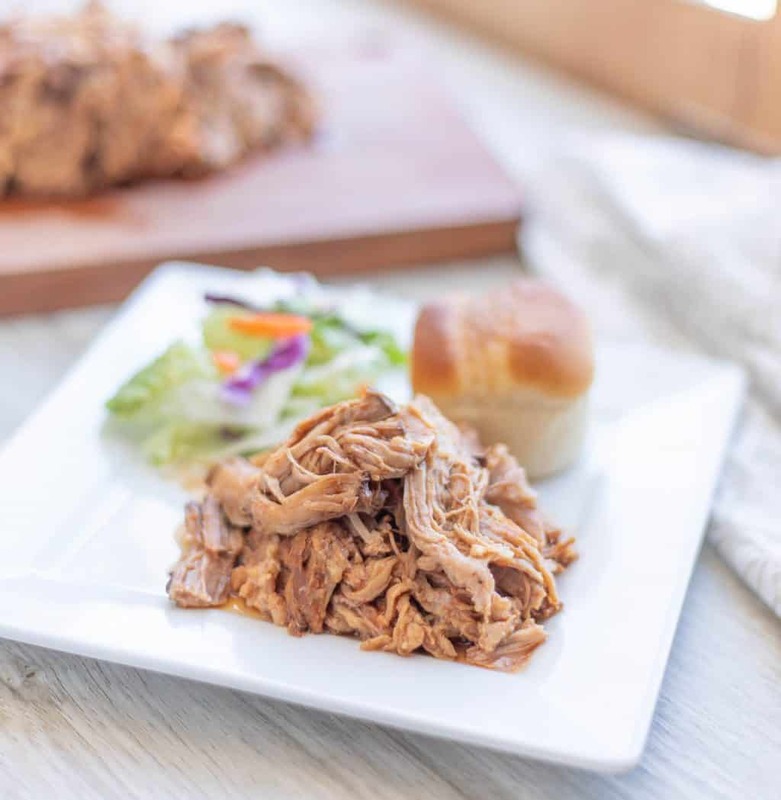 Looking for a simple a delicious BBQ Pulled Pork Recipe? Want a dinner recipe that is Slimming World Friendly? 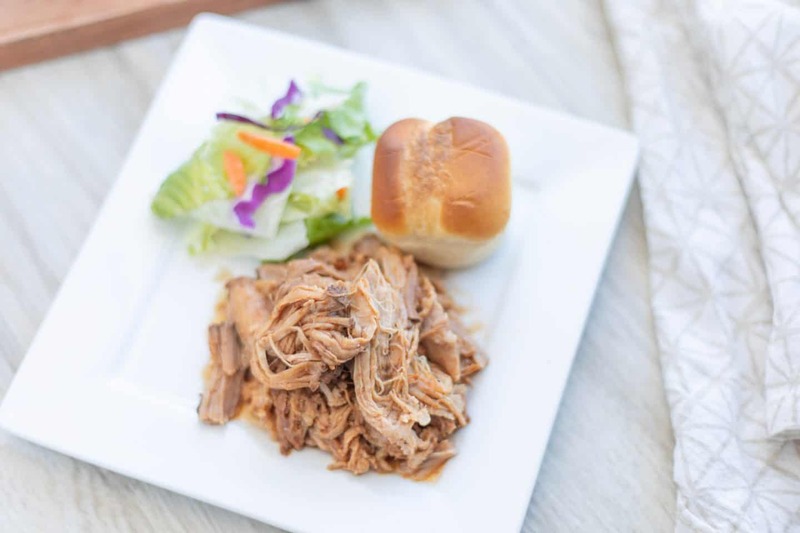 This easy dinner recipe is perfect for anyone who loves BBQ Pulled Pork. I love a recipe that feels like comfort food but is still in my healthy eating plan. 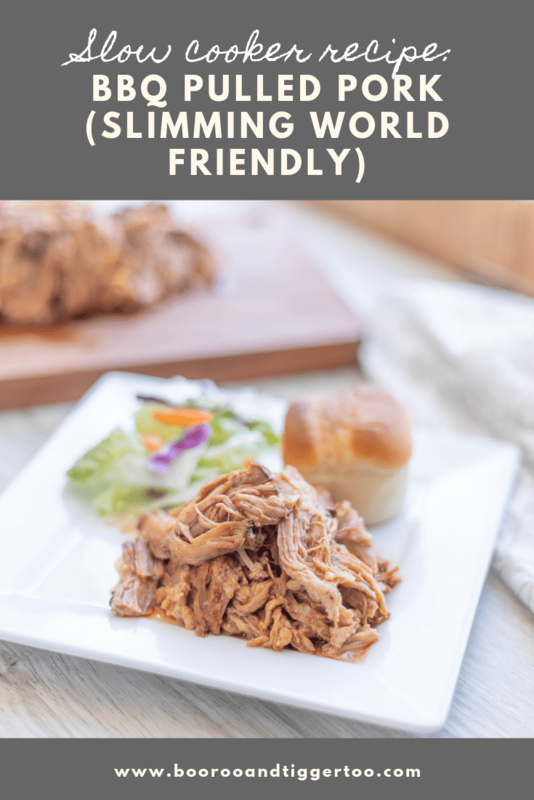 The homemade slimming world friendly sauce that goes with this pulled pork, takes a good meal and makes it amazing. Because it fits into a healthy eating plan, I can eat BBQ Pulled Pork and not feel guilty about it. What to Serve with BBQ Pulled Pork? How Long Does BBQ Pulled Pork Last? 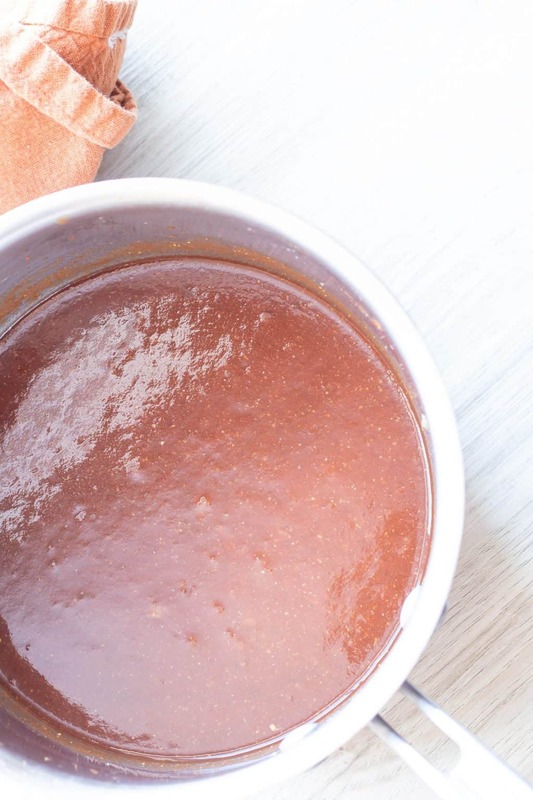 Since you are making this sauce from scratch, it doesn’t have preservatives. 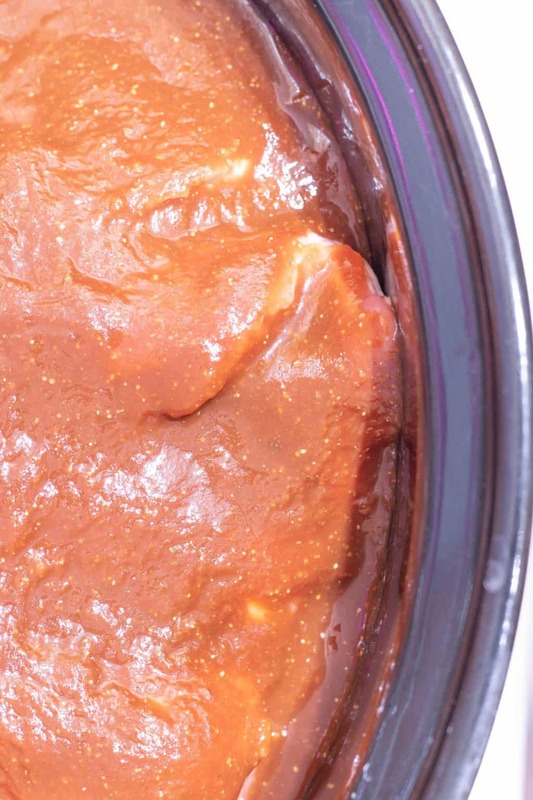 This BBQ Pulled Pork recipe will last for up to 5 days in the refrigerator. Make sure it is in an airtight container. You can also freeze it. How to Reheat BBQ Pulled Pork? Pulled pork can be reheated in the microwave, a pot on the stove or a baking dish in the oven. Make sure the pork has been reheated thoroughly when you are ready to reheat it. If we are eating all of the pulled pork leftovers, I will heat it in the oven or on the stovetop. If I am only heating enough for one, I will heat it in the microwave or on the stove. Previous Post: « How do you grow a sunflower? I’ve never tried pulled pork but definitely want to now. Cheers. Been looking for a good pulled pork recipe. Yummmmmmmmmmmmmmm, we love pulled pork sandwich. I am going to give your recipe a go. 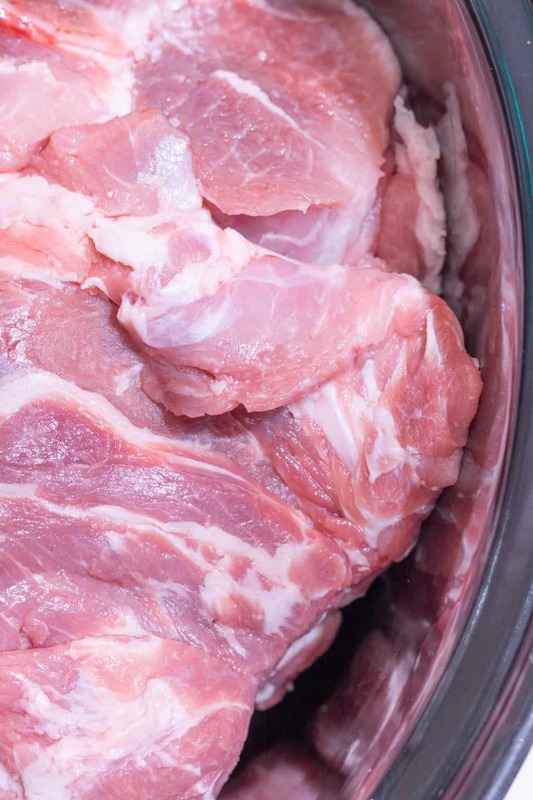 At last a slow cooker pulled pork recipe that’s tried and tested! Thank you, am new to this SC thing! 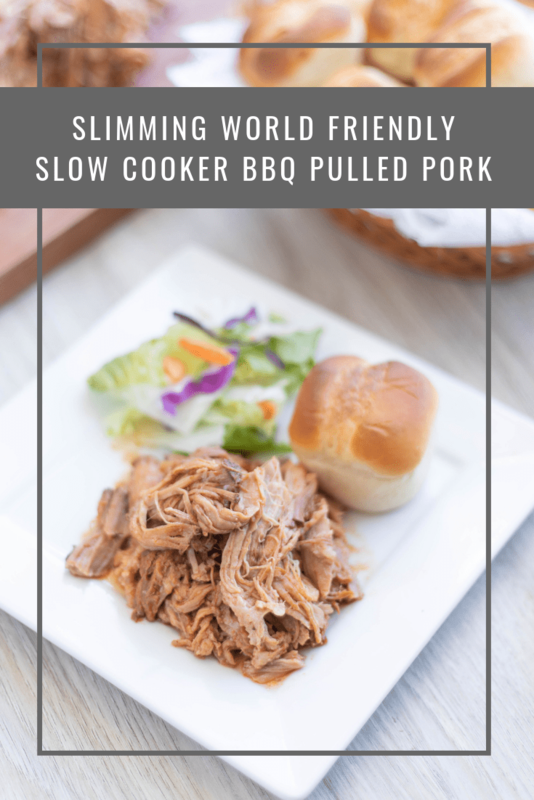 pulled pork, slow cooker, perfect combination! I love pulled pork but haven’t made it myself yet. Will have to give this a go! I would have never thought to go to the butchers but definitely will be checking it out from now on! We don’t usually buy pork- not really sure why- might just take the leap with this recipe! Looks yummy. I bought a shoulder of pork when we went to Morrison’s last weekend. It’s in the freezer now waiting for a Sunday lunch. This looks perfect. Hurrah! I am a Morrisons Mum too and that looks like a super recipe – thanks, now slow cooker at the ready!